The best laid plans of (computer) mice and men often go astray. 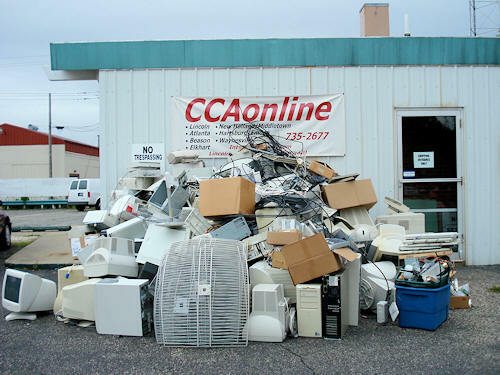 Roughly one-third of Friday's electronic mountain of old computers, monitors, printers, keyboards, computer mice, cables and wires await the recycler's trucks outside Computer Consulting Associates at 601 Keokuk in Lincoln. The recycling program, in conjunction with Logan County Solid Waste Management, helps prevent our local landfill from becoming filled with our old and unwanted electronic waste.